The stage erected in Detroit, US, where the Oscar winner A R Rahman was to perform, fell apart injuring 10 people. 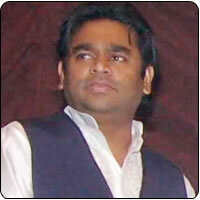 Rahman is on a world tour and will be conducting music shows in US and Europe. The show in Detroit, which was to be held today, was a part of this tour, which was unfortunately cancelled due to the mishap.